Break a leg! But not really. Please be careful. Scott Cote, Angela Grovey and Evan Alexander Smith will star in the national tour of Broadway's hit comedy The Play That Goes Wrong as Dennis, Annie and Chris, respectively. Directed by Mark Bell and produced by Hollywood heavyweight J. J. Abrams, the traveling production of The Play That Goes Wrong will kick off in September 18 in Pittsburgh, PA, before continuing on to cities all across the country. Joining Cote, Grovey and Smith in the touring cast will be Peyton Crim as Robert, Brandon J. Ellis as Trevor, Ned Noyes as Max, Jamie Ann Romero as Sandra and Yaegel T. Welch as Jonathan. The cast will also features Blair Baker, Jacqueline Jarrold, Sid Solomon and Michael Thatcher. "Mischief Theatre's The Play That Goes Wrong has become a global phenomenon and we figured that it was selfish to contain all of the laughter and chaos it is creating in North America to just New York City," said producer Kevin McCollum, in a statement. 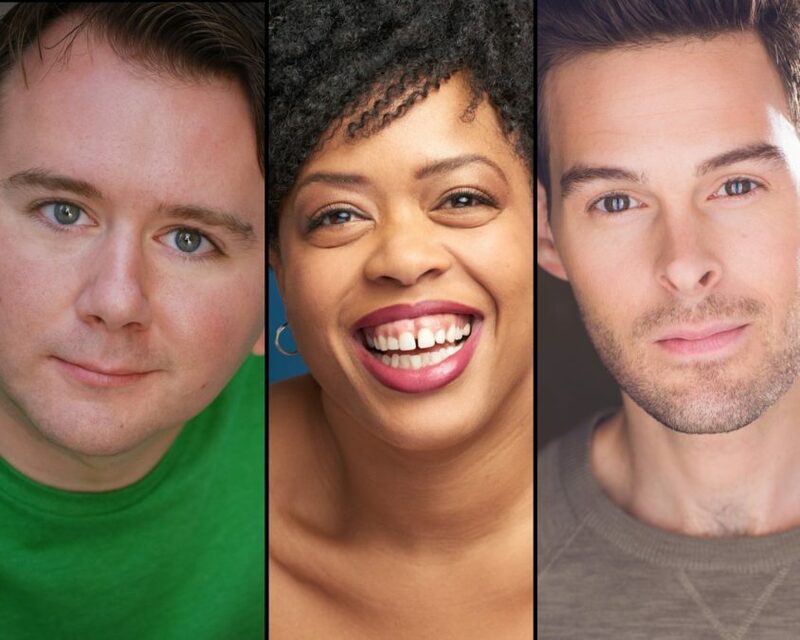 "We are beyond thrilled to have found such a spectacular cast to bring Mischief Theatre's unique brand of mayhem to 28 cities in 42 weeks in the first year of a multi-year tour. Every night on Broadway we witness the show reduce groups of family and friends to hysterics and we can't wait to spread that joy across the country." Co-written by Mischief Theatre company members Henry Lewis, Jonathan Sayer and Henry Shields, The Play That Goes Wrong introduces The ‘Cornley University Drama Society’ who are attempting to put on a 1920s murder mystery, but as the title suggests, everything that can go wrong…does, as the accident-prone thespians battle on against all odds to get to their final curtain call. The Olivier Award-winning comedy is a hilarious hybrid of Monty Python and Sherlock Holmes. Welcome to opening night of The Murder at Haversham Manor where things are quickly going from bad to utterly disastrous. With an unconscious leading lady, a corpse that can’t play dead and actors who trip over everything (including their lines), The Play That Goes Wrong received the 2017 Tony for Best Scenic Design of a Play. The comedy is currently playing Broadway's Lyceum Theatre, where it will close on August 26. To find out when The Play That Goes Wrong is headed to your city, click here and here.